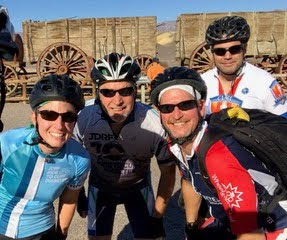 2018 JDRF Death Valley Ride Summary. We did It! I’ve been so excited for this experience since I first decided to go in late 2017. My teammates who’ve been, and keep returning, can’t stop talking about how difficult and yet how absolutely awesome it is. 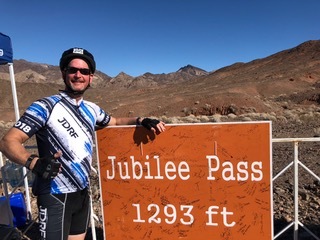 So after riding two JDRF rides last year, I decided the Death Valley ride was the one I wanted to do more than any other. First, I had to get in. Registration was expected to fill up and close early. And it did, within hours. But I registered as soon as it opened and I got my spot along with 3 other Indiana State riders: Gary Martindale, Kevin Garner, and Tony Gabriel. I’ll give away the ending now: it was even better and more remarkable than I had imagined! We left for Las Vegas early Thursday morning, where we met with the other JDRF riders and staff to hop a bus and travel to the Oasis Ranch in Death Valley National Park. 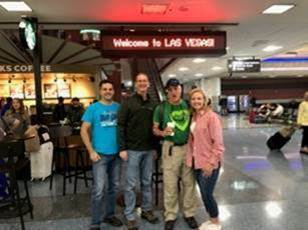 I saw Hoover Dam from the plane and the Vegas strip from the airport, both of which were firsts for me! 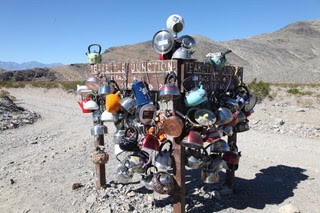 After stopping briefly to pick up drinks and snacks, we left Nevada and drove into California and into the park. The scenery was simply amazing. Already I wanted to be out in it. Since we arrived early and our rooms weren’t yet available, we decided to go for a short ride. 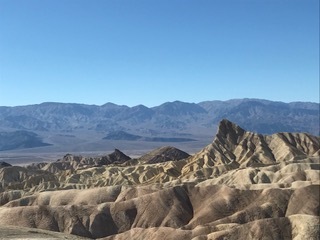 We changed, hopped on our bikes and rode to Zabriskie Point. Jon Doyle, a new friend from Novartis, joined us for the ride. It was a beautiful sunny day and the ride uphill was challenging and slow but well worth the effort! The views were beautiful, and it was a great way to loosen up after all the traveling. We headed back for the welcome dinner. 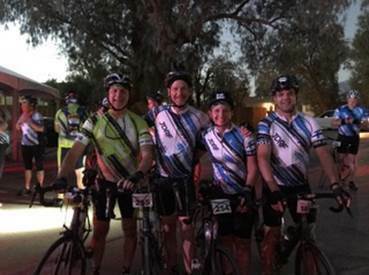 Our team was joining about 300 other JDRF riders from around the world. 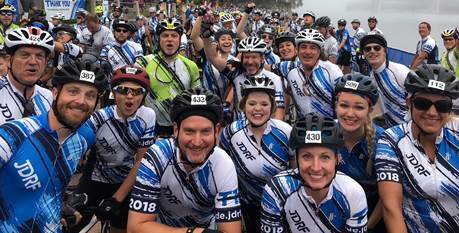 Together, we raised more than $1.4M with this ride to improve the lives of those with T1D and to continue fighting for a cure. The staff and volunteers make it very special and most of the event was outside: dinners, speeches, and awards…under the stars, the moon, and the awe-inspiring darkness. Friday morning was the mandatory safety meeting. I learned not only how important it was to drink but also to eat during the ride to stay well hydrated. The JDRF staff also shared some of the logistical challenges they face holding the ride in the park to keep the riders safe and the SAG stops stocked. I hadn’t thought about it before, but if we needed more ice or water, we couldn’t just run to the corner store! It’d take hours! 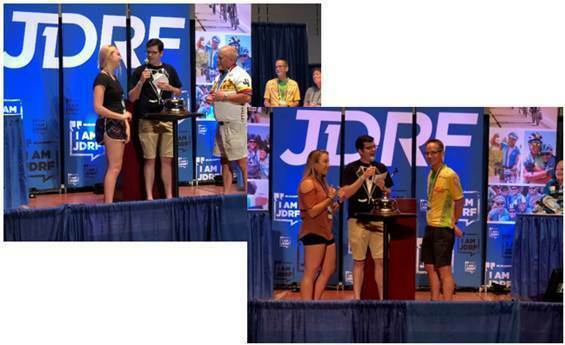 What the JDRF staff and volunteers manage to accomplish is really amazing. Since we’d done a warm-up ride on Thursday and our bikes were ready to go, we spent the remainder of the day sightseeing. It was spectacular! We rented a Jeep, and went to Ubehebe Crater, Racetrack Playa, and Rhyolite Ghost Town. 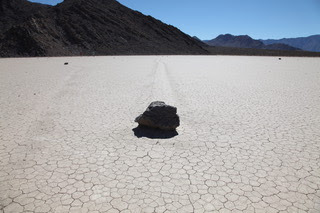 It took us quite a walk to get to the moving rocks at Racetrack Playa…but WOW! 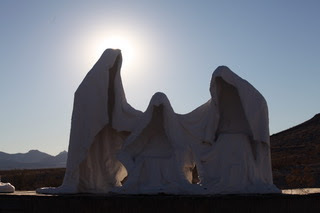 We didn’t see another soul. And the quiet was profound...we actually stopped to listen to the silence. There were ghosts in the ghost town and amazing puppets. It, too, was more than I hoped for! Ride day dawned bright and early. As I walked to breakfast, the sun was beginning to peak over the mountains. It was breathtaking. We ate, got ready to go, and met at the starting line. Although we were each riding our own ride, we wanted to start off together, as a team. It was a short one mile uphill from the ranch, before the ride really felt like it began. I found myself settling in and smiling a lot! The temperature was still a bit cool as we rode in the shade of the mountains. It was almost perfect! Cool temps, slight downhills and smooth roads. As the riders spread out, it was a simply joyful 50 miles. 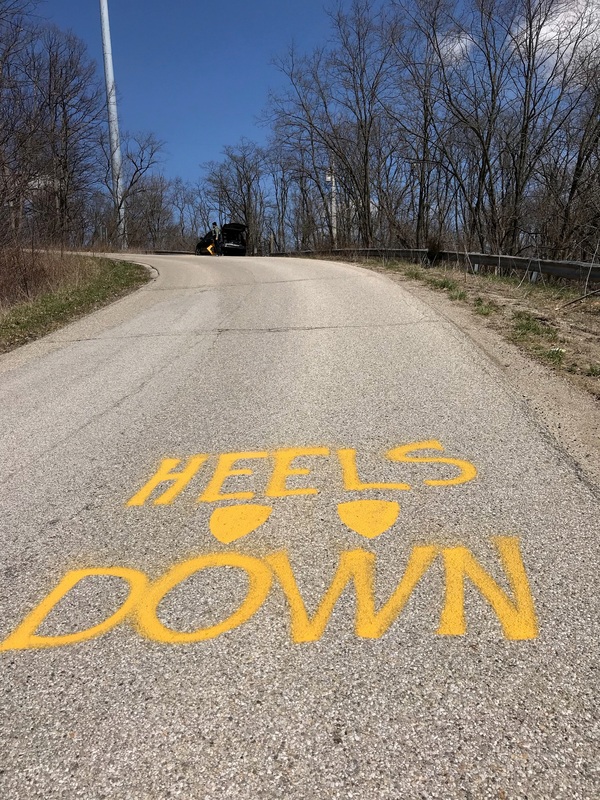 During hill training over the summer, I’d focused more on longer less steep climbs as I wanted to be sure I could finish the ride. Kevin had explained much of the end of the ride was uphill, and it would be after already riding 93 miles in the sun and heat. 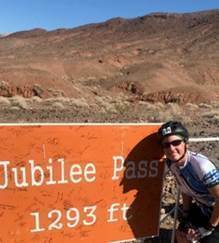 Somehow I lost sight of Jubilee Pass. 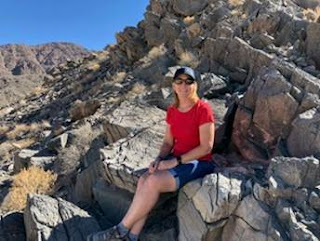 When I go to the last stop before Jubilee Pass and the halfway turnaround point, I was feeling pretty good! 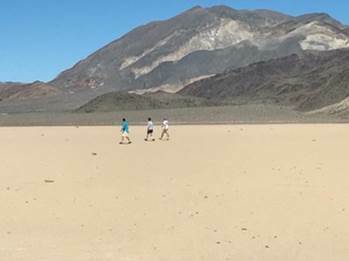 I asked one of the volunteers how much further until we turn around. Only 6 miles…YAY! She said, “it will likely take you an hour to an hour and a half.” Wait! What??!! I wasn’t expecting that answer. 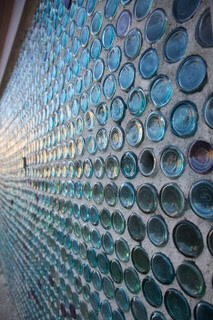 I refilled my water bottles and had an extra bag of chips and headed out. It wasn’t too bad to start, with small rolling hills. And then I turned left, happy to move to a flat road. But I slowed down, and it was hard! It wasn’t flat at all, but rather the beginning of an almost 6 mile climb. I couldn’t see the top, and it felt like it went on forever. I had two goals: Stay on my bike. Don’t stop. I focused on patience and persistence in a way that I never have before. As I got closer to the top, my teammates passed me as they rode downhill. Kevin turned around and stayed with me. I did it! 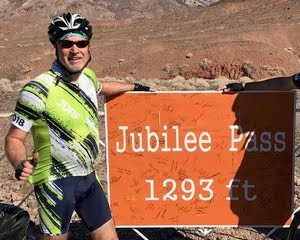 We had all made it to the top of Jubilee Pass. We rested briefly, but we wanted to get underway quickly as we still had 50 miles yet to go. The downhill was not the fun ride I expected. It was very bumpy and very fast making it rough on my arms and upper body. 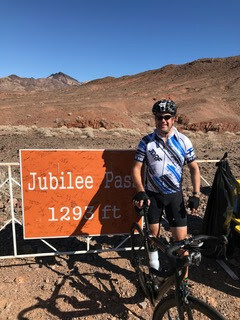 The challenge continued after Jubilee Pass. It was hot, we rode in bright sunlight, and there was a fairly steady headwind. I was so tired, mentally and physically. Yet, I knew I didn’t want to quit, no matter what. At the next SAG stop, I took a longer break to rest, poured water on my head and ate. I started to have a bit more energy. Kevin was waiting at the rest stop with me. We focused simply on reaching the next rest stop each time, only on riding the next 8 miles. I learned a new trick and packed ice in the grooves in the top of my helmet. It kept me cooler as it melted! I was going to finish the ride. The last 7 miles were more rolling hills than the straight climb I had anticipated. And the last mile was mostly downhill! I pushed myself to go faster, and then the finish line was right there!!! I’d actually done it. 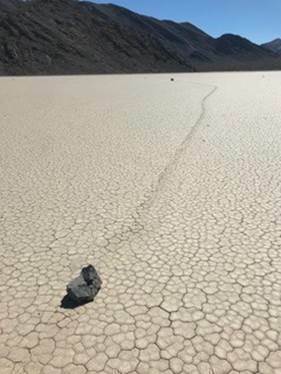 I had ridden my bike 100 miles in Death Valley! It was an absolutely amazing experience, and one of the most challenging things I’ve ever done. I can’t describe the joy, the elation, and the peace. And I can’t wait to do it again next year! I know I’ve said much of this before. And I’ll keep saying it…Thank you! I couldn’t have done this without the support and encouragement of my teammates. All of the training rides, the laughter, and the coaching throughout the season kept me going and reminds me that family comes in many forms. And I couldn’t have done this without your generosity and support. You were with me every pedal stroke, for every mile. Together we did this; Together we’re making a difference! 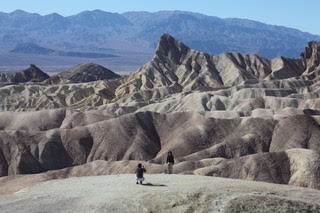 On Thursday we arrived in Las Vegas and from there took a two-hour bus ride into Death Valley. Once we got to the valley, we found our bikes and rode to some nearby sights while waiting for our hotel rooms to be ready. Saturday was ride day and found us ready to go before dawn. 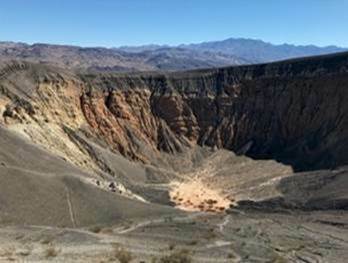 The morning started cool, with the sunrise inspiring awe as it slowly revealed the glorious beauty of the stark desert mountains around us. 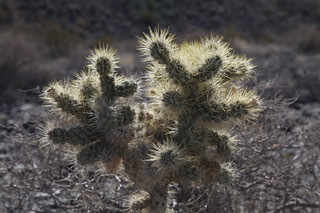 The weather was spectacular - hot and dry with high temps in the 90s. 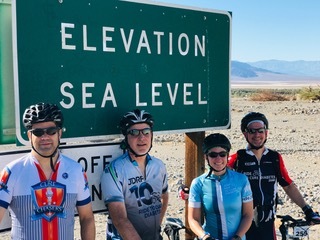 We all made the summit at the 51-mile turnaround. 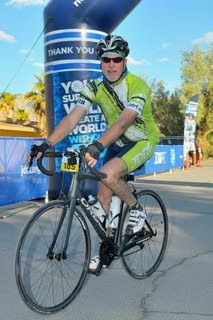 With the heat of the day and a pretty steady headwind, the second half of the ride was much tougher than the first. 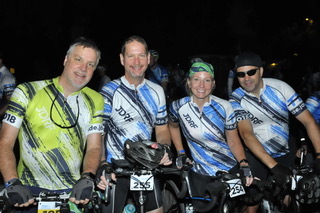 We each fought our personal battle to cross the finish line in our own time - safe, sound, smiling and under our own power - the goal of every JDRF rider. Thank you, as always, for sharing in my ride. 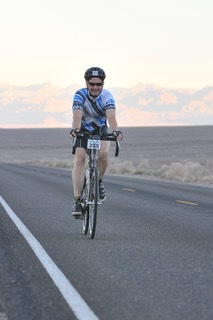 This was my 8th ride in Death Valley and 12th overall JDRF ride and each is an emotional event. 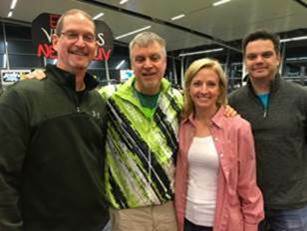 I truly appreciate your generous support of JDRF over all these years. 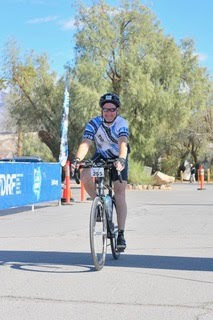 I may have been the one pedaling over the miles, but I carried your thoughts, prayers and support with me on each mile, and I would not have made it without you. Thank you! Please visit my ride site to see how I did on my fundraising and for links to the stories of my past rides. 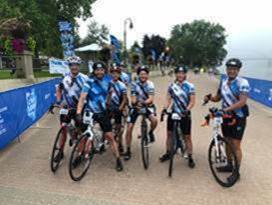 With your support, I rode in my third JDRF ride, 100 miles in La Crosse, Wisconsin!! 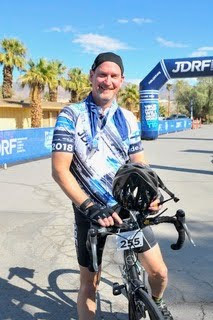 Although this was my third ride for JDRF, and much of the format was the same, each ride is inspiring in its own way. This one was different before we even started. It was the largest Indiana State Team that I would be traveling and riding with yet. 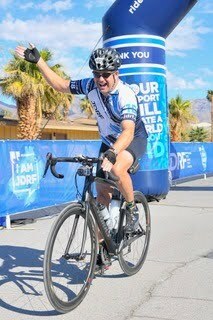 There were 16 of us, and 6 first-time JDRF riders this year! Many of us met at the JDRF office the Thursday before the ride, to decorate cars, load bikes, and carpool to La Crosse. It was an early morning and a great way to start the day! 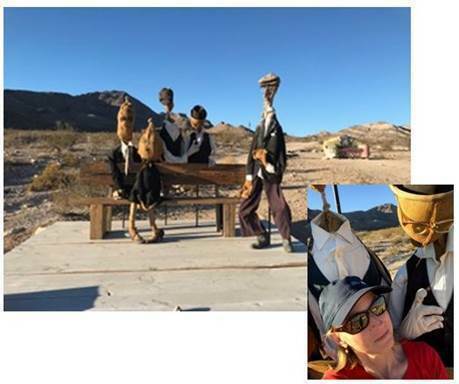 It’s fun to road trip with so many friends. And of course, we stopped at the “World’s” Largest Culver’s along the way! 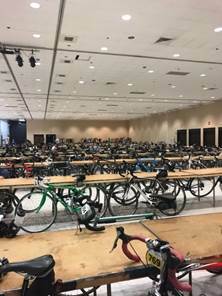 We arrived Thursday, checked in to get our welcome packets and dropped our bikes in the bike room. It’s amazing to see so many bikes in one place…especially knowing there are so many riders, riding and raising money for such a great cause. 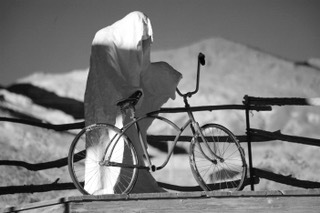 Many of them have a personal connection that you can see on their bikes, pictures, and names. We enjoyed a welcome dinner and walked a bit to relax before turning in for the night. Friday started with breakfast and the mandatory Safety Meeting, a must for every ride. It’s a helpful reminder to all of us, for example: tapping our helmets to let a SAG (Support and Gear) vehicle know we need help vs. waving which may just mean “hi!”, coaches are willing to assist in tire changing, and what the route is like, and where we turn around. Then we were off to the bike room to grab our bikes and take a quick tune-up ride to ensure our bikes were ready to go for Saturday. Matt and Evan had a flat issue, so it was a short ride, but way better to get that fixed on Friday! Friday night is the Inspiration and Award dinner. And it fits the name to a tee. It’s amazing to see and hear so many stories…it always makes me cry, especially hearing about the families, the perseverance, and the triumph. This year they also did a Family Feud type game …and both Devon and Emily participated! It was a blast! Our route takes us through parts of 3 different states: Wisconsin, Minnesota, and Iowa. It’s way cool. It was a beautiful cool morning to start and stayed that way for quite a while. It was everything I remembered and more. A bit foggy and cool…enough that I took my sunglasses off. We rode together as a team, single file, meeting others as we passed them. Everyone is usually so energetic and excited, at least in the morning. We make new friends, learn why others are riding, and encourage each other every step of the way. We tried to do fairly quick SAG stops again this year so that we continued to make good time but also got the food and water we needed. And they’re always stocked very well! One thing I love about riding is that I get to eat things I normally wouldn’t J …cookies and chips, Oh My! The first half of the course went very well. Even as the sun came up and the day warmed, the weather remained beautiful and our spirits strong. The turnaround is the most difficult for me, mentally and physically. The long low grade climb at the beginning of the loop seems to take forever, and takes so much energy. I kept at it….slow and steady. Once at the top and after the turn, the larger rolling hills can look intimidating. But once you climb, the speed on the downhill helps you to climb the next…and wow! It was so much better than last year! I climbed faster, sped downhill, and completed the loop in record time. The final downhill is long, and tucked low on the bike, you can gain so much speed. It was exhilarating! I grinned the whole time. Now we just had to bring it back home! It’s mostly flat, but the small hills still take more effort after 50 miles. We broke into two groups for the last 30 miles or so. I decided to ride with the faster group. It was fantastic. The hills were still hard, and I had to fight to keep up, but as always, we stuck together and encouraged each other. We couldn’t wait to get to the finish line! A quick flat change for Julie at mile 99, and we were there!!!! So amazing! The first time, the emotions were so strong, I barely made it beyond the finish line before bursting into tears. This was different…still so many emotions, but more happiness and feeling inspired. 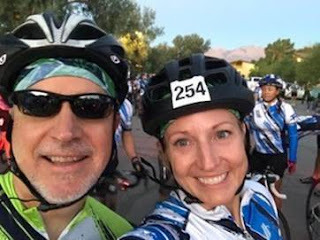 Off to ice cream and a beer…yes, together, because at the end of a JDRF ride, why not?! We waited for the rest of our team to ride in, reminiscing already about parts of the ride and looking forward to the celebration dinner. Saturday Night Awards dinner always comes with more tears…more personal stories. It reminds me of why I do this…how I was inspired by my friends…and why I keep coming back. I couldn’t have done this without the support and encouragement of my teammates. All of the training rides, the laughter, and the coaching throughout the season keep me going and reminds me that family comes in many forms. And I couldn’t have done this without your generosity and support. You were with me every pedal stroke, for every mile. RAIN 2018 was a great ride! We rode as a group and had a great tailwind and some rain :). Kept us cool. Big BIG shout out to a wonderful SAG team !!!! Sharon and Rachel were awesome! Jimmy got us started in the morning with fresh air and a great drop off. Anders and Steph graciously opened their house for us to tramp through, even while wet, for lunch. Sharon not only fed us and kept us in the loop, but she helped make us as comfortable every step of the way...cookies, water bottles, wiped our glasses, and held our bikes. This is such a great group and was a wonderful ride...I'm really lucky to be a part of to. WHOO HOO - Go Cure Chasers !! So much fun! Low wind and awesome group :). Great pace and Danny Boy's after ! Alicia, Wendy, Scott, Kerry, Richard, Kevin, John, and Jim!! Missed Tony and Gary...maybe next week. Great Flat Thursday and Saturday Training Rides!! The last couple of Flat Thursday and Saturday training rides out of Coxhall Gardens in Carmel have been great! We rode ~ 33 miles. The weather was great even a bit of the wind :). It was one of Alicia's first rides this summer and her toe is good to go ! Richard had a chain issue (pin came out) and had to stop about 30 miles in. But that's what I love about our group! We made sure he was safely off the road, then went back and picked him up with the car. (Quick fix and he was riding again Tuesday). Saturdays are some of my favorite training rides. This past Saturday, we started about 8am and rode about 38 miles. It was bit windy but the pace and challenge was a perfect! We increase the miles over the summer to at least 100 to prepare for our bigger rides. We stick together and look out for each other...no drops! But we can still ride our own ride. We support and challenge each other. 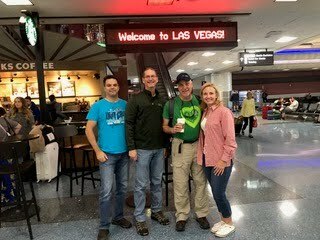 We even ride back to see how others are doing (as a frequent recipient of this...it's awesome!). We have places to stop for ice and breaks. Kevin maps a great course :). If you haven't tried Flat Thursdays, come join us! 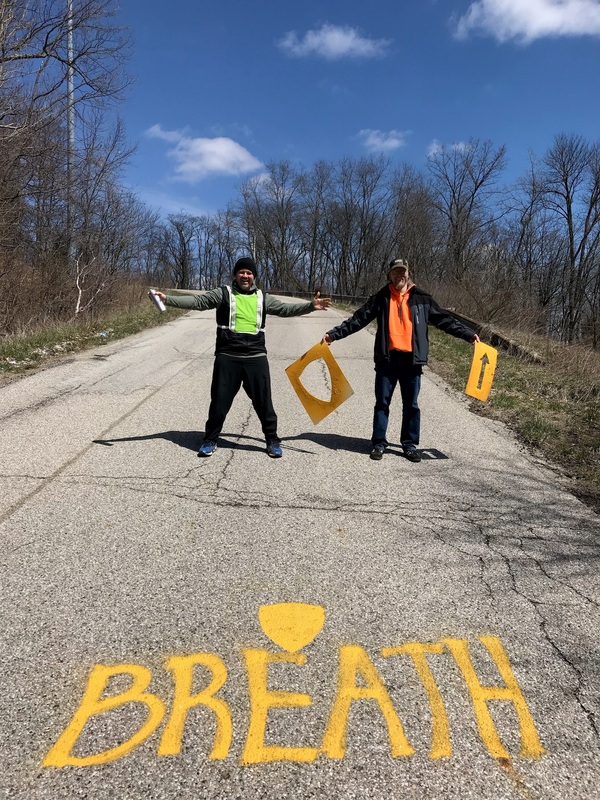 Thanks to everyone who came out in the cold but sunny day to paint the Dan Henry's (cycling directional markings) on our cycling routes. Both the North and South courses were finished today. It was more fun than advertised! Jimmy is a much better artist than speller. Pictures don't lie! Is that a medium jersey Jimmy is wearing? 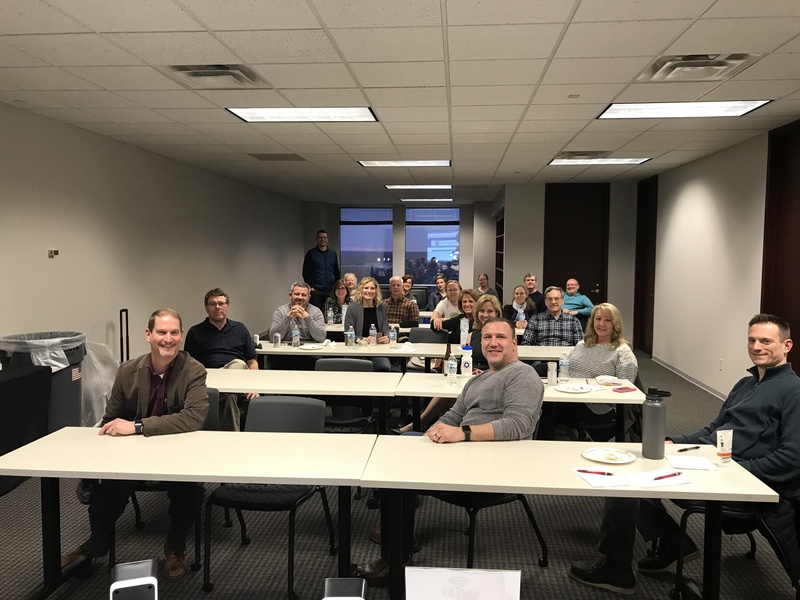 We had an excellent turnout for our 2018 Kickoff Meeting. Attached are the slides for more information. Although our indoor spinning classes are nearing an end this year, I wanted to send a quick "shout out" to Coach Scottie and Wendy for leading our spinning classes this winter. They did an awesome job coaching and were incredibly consistent, reliable and fun leaders! I also want to thank everyone who came out and rode with us once, twice, or routinely throughout the year. We know sometimes it's not easy to pack up your bike, clothing, and trainer on the dark cold winter days, however, once you got to the class, I can confidently say we had a lot of fun and laughs riding together as a team. And yes we did have fun with those who periodically forgot their bike, clothing, shoes, skewers or trainer. Finally, I want to personally thank Circle City Bicycles for allowing us to "crank up the music" and spin in their shop each week! I think we all agree riding indoors is not as much fun as outdoor riding but these indoor spinning classes help keep you in shape during the off-season. So if you missed spinning with us this year, we missed you too but I'm sure we will see you out on the roads this spring. 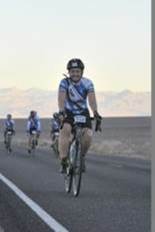 As a member of the Cure Chasers Cycling Group, the Tour De Cure was my first century (100 miles)....1/2 on the road and 1/2 on the Indy 500 track (Speedway). I couldn't have done this without their support and encouragement. Weekend rides, Blue Tuesday rides and Flat Thursday rides were instrumental in the training for this relatively easy ride. 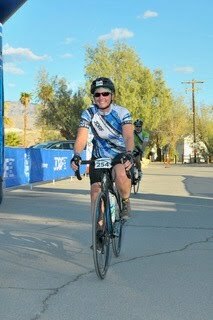 I started cycling with the Cure Chasers in 2012 and learned the safety of cycling, how to climb a hill and how to ride in a group (drafting). 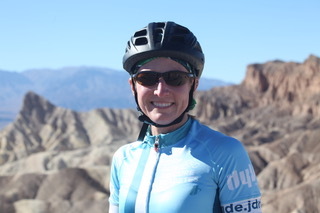 The Cure Chasers is a great group to cycle with not only because of the great coaches they have, but also because of the camaraderie and how they make you feel part of the family. It doesn't matter how fast or how slow, there is a place for all of us with the Cure Chasers. 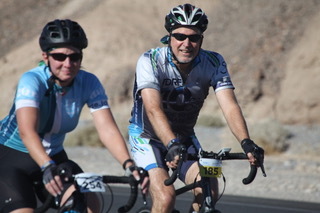 The Tour De Cure is one of many rides the Cure Chasers participate in annually. Come join us and train to ride for a great cause! You won't regret it!